Earlier in the year we were contacted by Rockley Cove to see if we'd be interested in reviewing one of their super stylish, UPF50 girls' rashkinis. We had to wait a while for for the sun to make an appearance, but at long last Daisy got to wear hers when we visited Peppa Pig World earlier in the week! It's essential for children to be protected from the sun and, as well as using sunscreen with a high SPF, choosing UV beachwear that has a high UPF means you can rest assured that you are doing your very best to do so. I'm a bit neurotic about using suncream and am constantly slathering factor 50 onto the girls during Spring and Summer, especially onto necks and shoulders which tend to be the parts of the body that receive the most sun! That's why I loved the idea of the rashkini so much; the rash vest is quite high in the neck and covers shoulders and backs too, which gives me a huge amount of peace of mind. All Rockley Cove beachwear is made with UPF50 fabric, which only allows 1/50th of the sun's rays to pass through it, and means 97.5-99% of ultraviolet radiation from the sun is blocked. In comparison, a simple cotton t-shirt only has a UPF of 5-8! Seeing as she'd be wearing it, I let Daisy pick the design and she opted for a set with shorts, in the modern dot pattern. I absolutely loved her choice and thought it was perfect for an afternoon at the water park (as, of course, it would be at the beach or in the garden too). As I've said already, these bikinis are made from all important UPF50 fabric. The shorts are fully lined to ensure that they don't go baggy or see-through when they're wet and they are also super quick drying so can be worn in and out of the sea/the sprinkler without feeling uncomfortable. Please note that UV beachwear only protects the skin that it covers and sunscreen with a high SPF should still be used on exposed areas. 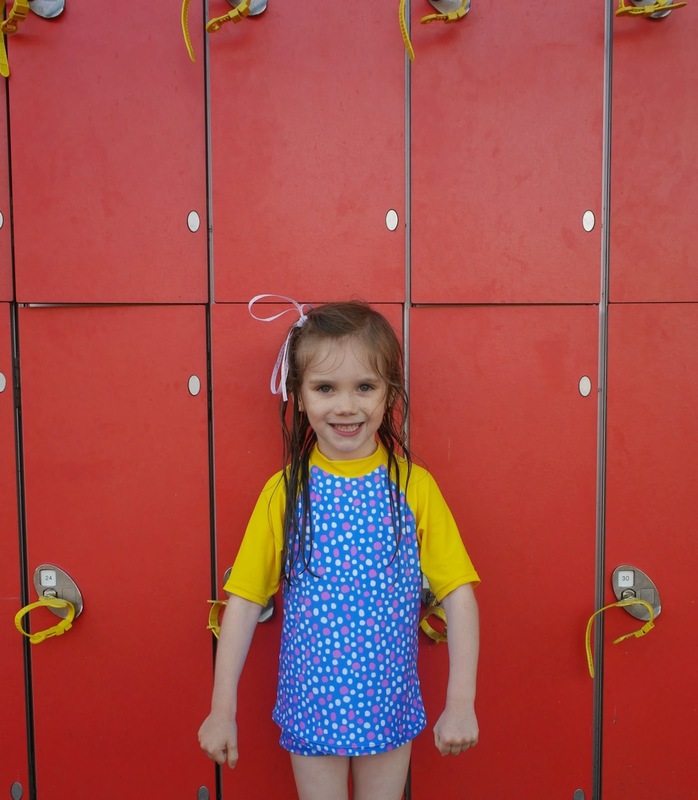 DISCLAIMER: Daisy was sent a Rashkini of her choice so that we could write this honest review. We have the same one for G - they're fab aren't they? Must post my review soon!